Created by Amanda Boyle on Oct 30, 2018 10:54 AM. Last modified by Amanda Boyle on Oct 30, 2018 10:54 AM. 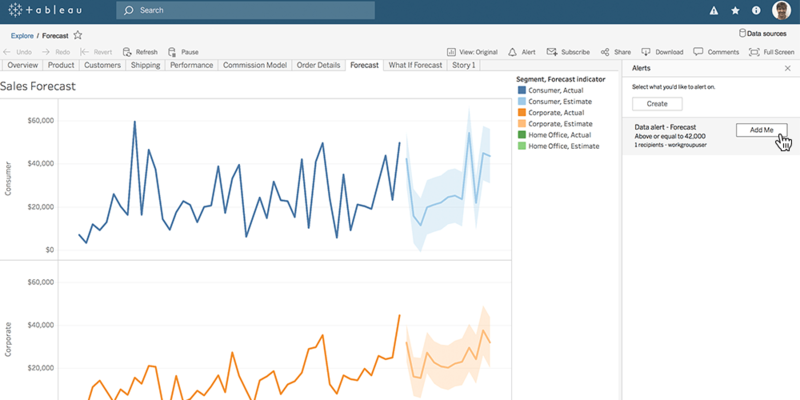 Ask Data — Tableau’s new natural language capability enables users to ask sophisticated data questions in an easy way with natural language. Just type a question and get a viz. Tableau Prep Conductor — A new add-on product for Tableau Server or Tableau Online that enables organizations to schedule and manage Prep flows. Say hello to fresh data every morning! 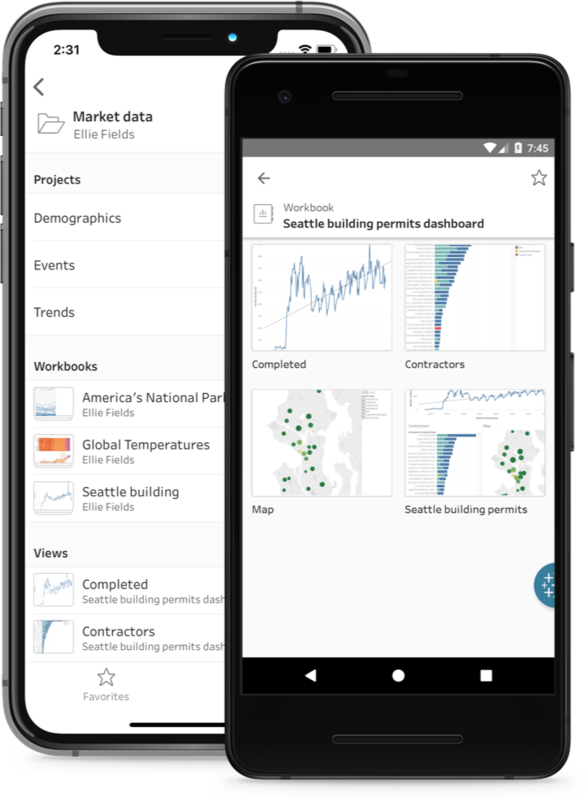 Tableau Mobile app — Experience a completely redesigned Tableau Mobile app that lets you interact with your most important vizzes offline. Export to PowerPoint — In beta 2 later this quarter, export a dashboard to a static PowerPoint file. Yes—one click and you can go from a Tableau dashboard to PowerPoint slides. Google Adwords connector — Bring your ad metrics into Tableau with our new connector. Plus more, including new ways to subscribe to data-driven alerts and more dashboard functionality. 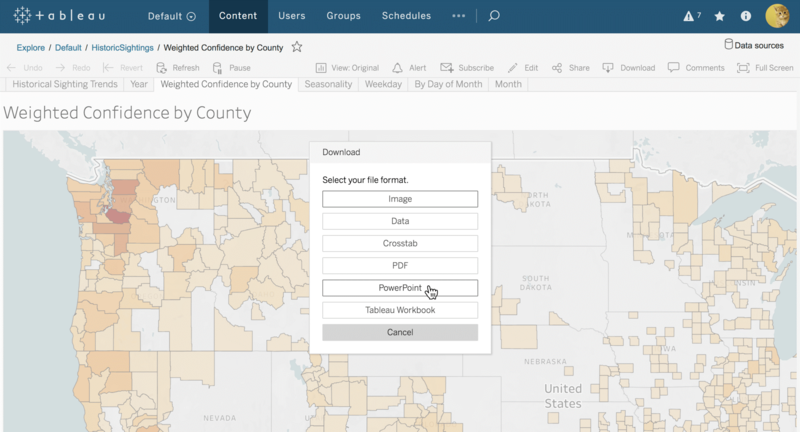 Ask Data is here with Tableau 2019.1. You are now able to use plain language to ask questions from any of your published data sources. Type a question and get answers in the form of a viz. Ask Data is the easiest way to analyze your data—no need to drag and drop or understand the nuances of your data’s structure.image: https://cdnl.tblsft.com/sites/default/files/blog/1_5.gif As you explore your data source, Ask Data makes it easy to refine your question, change your viz type, and save your analysis as a Tableau workbook. Ask Data takes advantage of Tableau’s powerful analytical capabilities including sorting, filtering and aggregations. For example, you can ask “monthly furniture sales,” which sounds like a simple question, but behind the scenes Tableau is automatically creating an aggregation on sum of sales, adding a filter on category, grouping the data by month, and displaying the result as a line chart over time. Ask Data also understands vague language like “earliest” and “most popular,” and incomplete questions.Ask Data is integrated into Tableau Server and Tableau Online, and works with any published data source, live or extract. The data model that defines each data source can be customized on the fly with definitions, calculations, and synonyms unique to your organization. It’s free for Tableau Creators, Tableau Explorers, as well as existing Tableau Online and Tableau Server customers with maintenance. 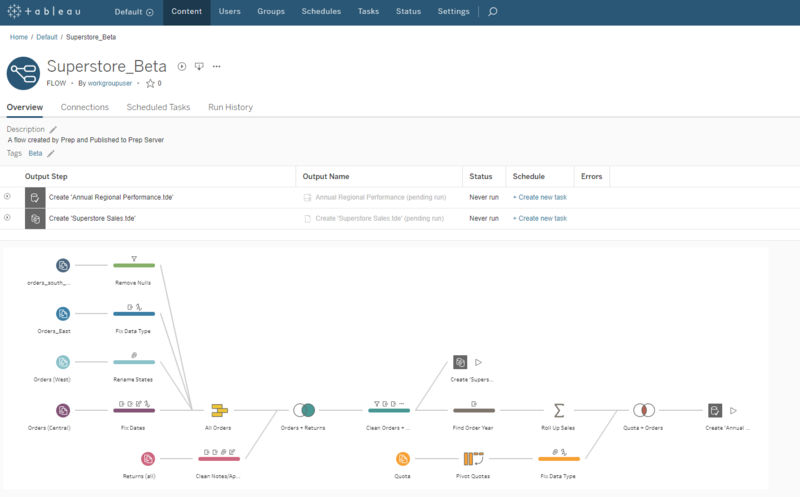 Ever since we introduced Tableau Prep in April, we’ve been working to bring you a scalable, reliable, and secure server environment to run Tableau Prep flows. We’re excited to announce that starting with Tableau 2019.1 you’ll be able to do just that—with Tableau Prep Conductor. Available in beta today, Tableau Prep conductor is a separately purchased add-on to Tableau Online and Tableau Server that lets you schedule and run the flows you authored with the Tableau Prep application from the browser.image: https://cdns.tblsft.com/sites/default/files/blog/2_109.png With scheduling, your teams can reliably receive prepped data, and run history helps you understand the scheduling history. Because it’s built on Tableau Server and Tableau Online, Tableau Prep Conductor uses the same user permissions and administration views you’re already familiar with. Also in this beta (and to our #DevsonStage delight) you can Export to PowerPoint. This new feature makes it easy to bring data into your presentations. Now you can export vizzes from Tableau Server or Tableau Online to PowerPoint as high resolution images, complete with a link back to the workbook. Now you can integrate your Tableau dashboards directly into presentations with a single click.image: https://cdnl.tblsft.com/sites/default/files/blog/4_47.png Originally introduced in Tableau 10.3, data-driven alerts notify you when your sales team exceeds their quota or when IT needs to respond to a critical event. We’ve improved this experience with a new view that shows all the alerts that already exist for the viz you are viewing. You can now add yourself or others to an alert by selecting “Add Me” from the side panel.image: https://cdns.tblsft.com/sites/default/files/blog/5_36.png Also, gain deeper insights from your Google AdWords data. Connect to and analyze your ad metrics in Tableau with this new, native connector. Not all functionality described above may be available in the beta program today. Some features may be added in the coming weeks. The beta program is available for existing Tableau customers.